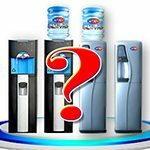 Which water cooler is best for me – should I have bottle-fed or mains-fed? Your requirement will be unique and deserves a bespoke quotation. Submit your enquiry or give one of our team a call to receive our recommendation based on your needs. We will always talk through the requirement with you first in order to provide the most suitable solution for you. Once ordered, how soon will my water cooler be delivered? 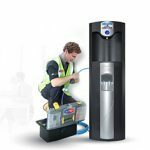 We aim to schedule both the installation of your water cooler and any deliveries at your earliest convenience; we are generally able to deliver bottle-fed water coolers within 48 hours and plumbed-in water coolers within 3-4 days. How often will I get a water delivery? 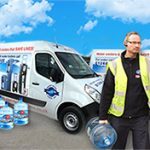 We tailor water deliveries to meet your needs; once we’ve established your consumption rate we deliver at agreed intervals to meet those requirements. The most common is that we deliver to you every two weeks. Do I have to take a set number of bottles per month? No. We never hold you to set quotas or predetermined quantities. You take what you need, when you need it. 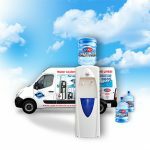 All we ask is that we drop a minimum of 3 bottles per delivery in order to continue to reduce our carbon footprint and make our deliveries that much more energy efficient. 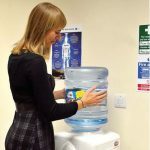 How do I safely change a 18.9 Litre Water Cooler Bottle? Water cooler bottles are heavy and if not handled correctly can cause injury, so it’s important to always follow proper safety guide lines when changing bottles. To stay safe, please read our safety tips. What if I run out of water? 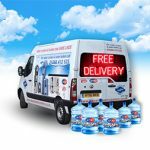 We offer a free of charge emergency delivery service to ensure you are never without water for long, because we know how important it is to remain properly hydrated at all times. How often will my water cooler be serviced? As per the EDWCA guidelines, we sanitise all bottle-fed water coolers every 3 months and mains-fed water coolers every 6 months. The service will be carried out by our EDWCA accredited service technicians and should take no longer than 20 minutes of your time. Do I have to call to book the service? 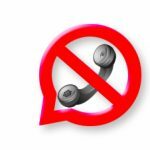 Do you have call centres? 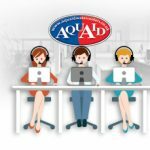 No, each AquAid office has its own small administration and delivery department, so you will get to know them and they will get to know you. 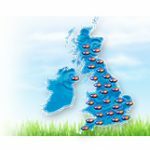 Are you nationwide and can you deliver to all our offices? 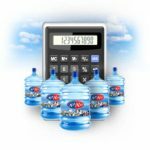 Yes, we are nationwide; our 23 distribution centres allow us to offer you the premium service that you should expect from your water cooler company. It is this dedicated level of service that ensures AquAid customers remain happy and satisfied at all times. Do you supply any other products besides water? We offer a selection of accessories that work well alongside your water cooler like water cooler mats, bottle racks and many more. 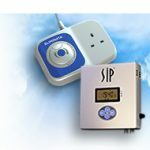 We also offer SIP and ELIMINATA energy-saving technology which allows you to save money while also reducing your own carbon footprint. Please give us a call to find out more about these products. We strive to reduce our carbon footprint wherever possible so bottles undergo a rigorous cleaning process and are reused if they pass our strict quality control. 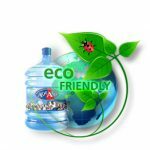 If not reusable, the bottles are granulated and recycled in the most environmentally-friendly way. What do we do with the empty water bottles? 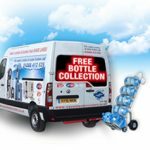 All empty bottles will be collected from you as and when we deliver to you. We hold a bottle deposit on your first 3 to cover any non-returned. Bottles are subject to a £5 charge if lost. How do the donations to charity work? We are very proud of our association with the charities that we support. 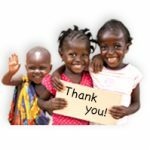 With every bottle of water that we supply, a 30p donation is made to The Africa Trust along with a £20 per annum donation for every mains-fed water cooler installed. Christian Aid also receives a 10p donation with every bottle of water that we supply. Thanks to your support, we have to date donated in excess of £12 million and have helped bring life-saving water to more than 2 million people.